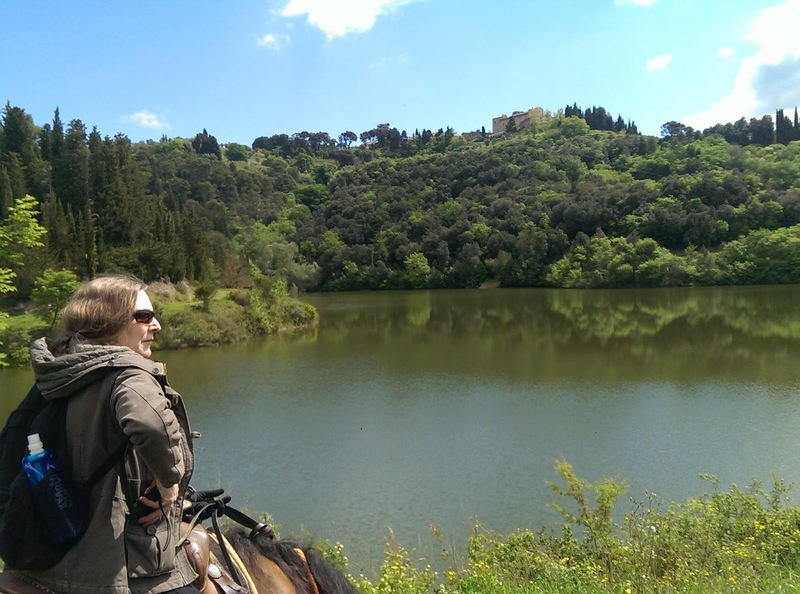 Located in the heart ofTuscany, the horseback riding landscape surrounding Castellare di Tonda is second to none. 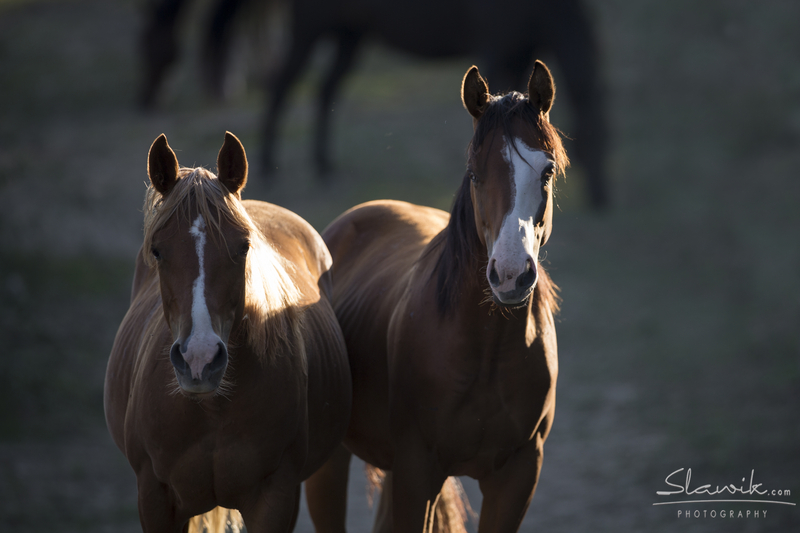 Combined with the warmth of Italian hospitality, international equestrian expertise, and range of quality trail and lesson horses, our equestrian centre offers visitors some of the most enriching horseback riding vacations available in Europe. 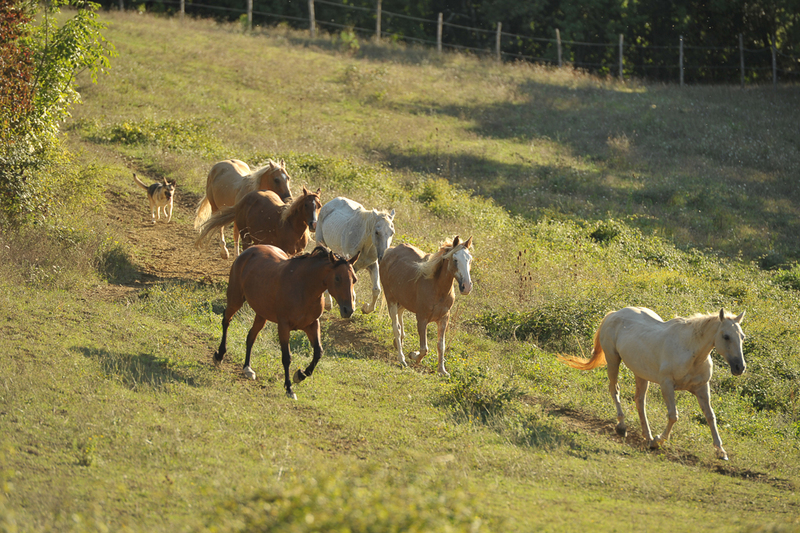 Castellare di Tonda has more than 50 horses running on over 900 acres of farmland; we breed American Quarter horses, which are famous for their comfortable paces and gentle nature, but we also have a selection of Argentine Criollo horses, Norwegian Fjords and some local Italian breeds. The landscape surrounding Castellare di Tonda is rich in history and culture. Our scenic horseback riding trails have existed for centuries as a vital network of trade routes for merchants, soldiers and farmers. Our guided horseback rides range from one to seven hours and will take you through forests of chestnut and Beech, across fields of golden grain, deep into rocky canyons, through meadows of wild flowers and into medieval hamlets that have remained in appearance much the same as they were 1000 years ago. 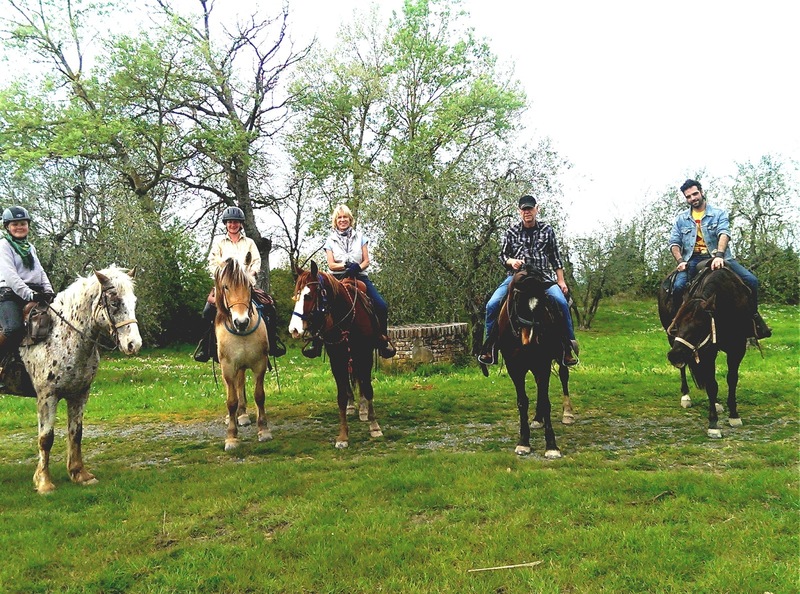 If this is your first horseback riding vacation, rest assured that our experienced international team of instructors will guide and assist you – always with your safety as a priority. We match you with a horse whose temperament will best suit your ability and comfort level. 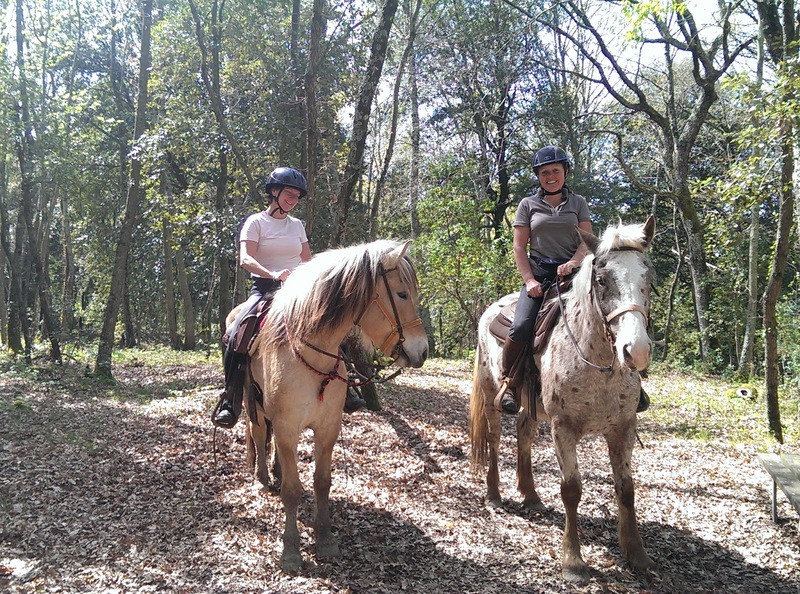 Horse riding is really the best way to explore the many different trails around the ranch, trails which cross varied terrain including open country and beneath forested canopies. The riding is challenging, interesting and varied. Our 7 night trail has 5 days of riding (5-6 hours daily) and one day free to explore Florence or enjoy private lessons with Franco our Trainer (above). 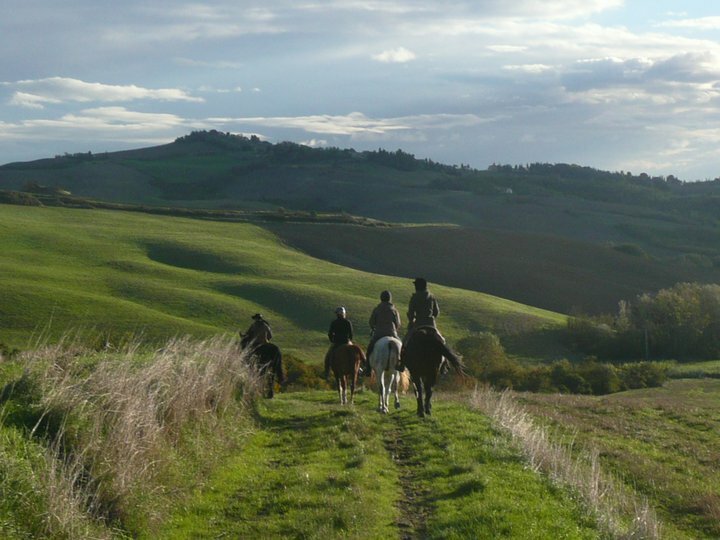 The package has five full days riding, three of which include abundant Tuscan picnics rich in local specialties,and served with our own chianti wine. These rides visit unique locations such as San Vivaldo Monastery, Toiano the abandoned village, Pietrina the sacred hamlet and a local organic Chianini farm for a gourmet lunch. Enjoy a bounty of vistas from forested trails to open country overlooking castles and medieval villages in the distance. This is Tuscany in its purest and wildest form. 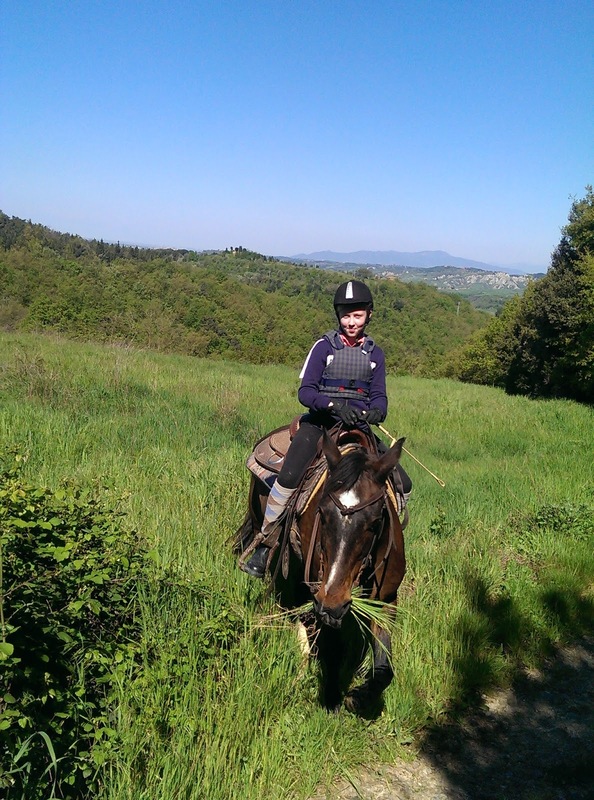 I’ll probably never make it over there to enjoy your “Adventure Horse Riding in Tuscany Italy” but, just reading what it has to offer makes is a virtual adventure.